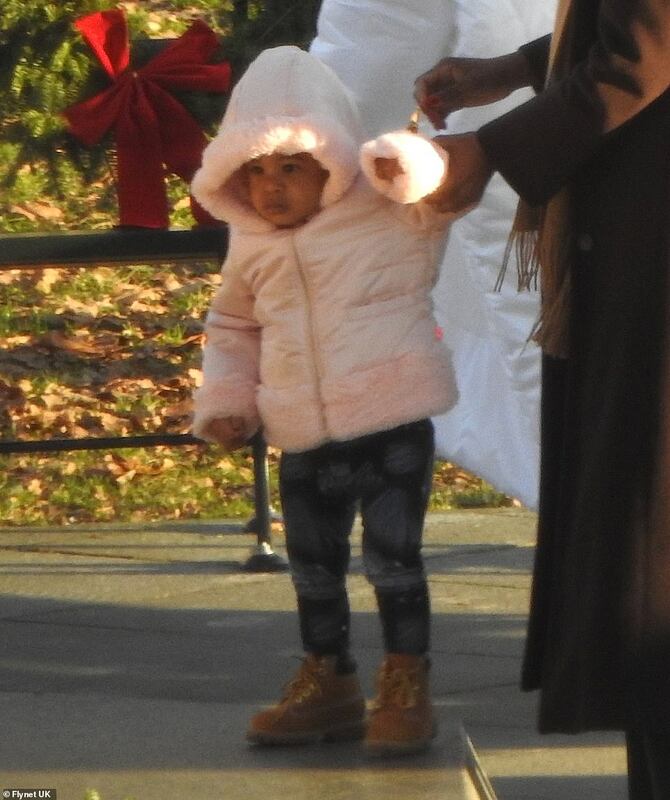 Jay-Z&apos;s family spent Christmas this year in Brooklyn. 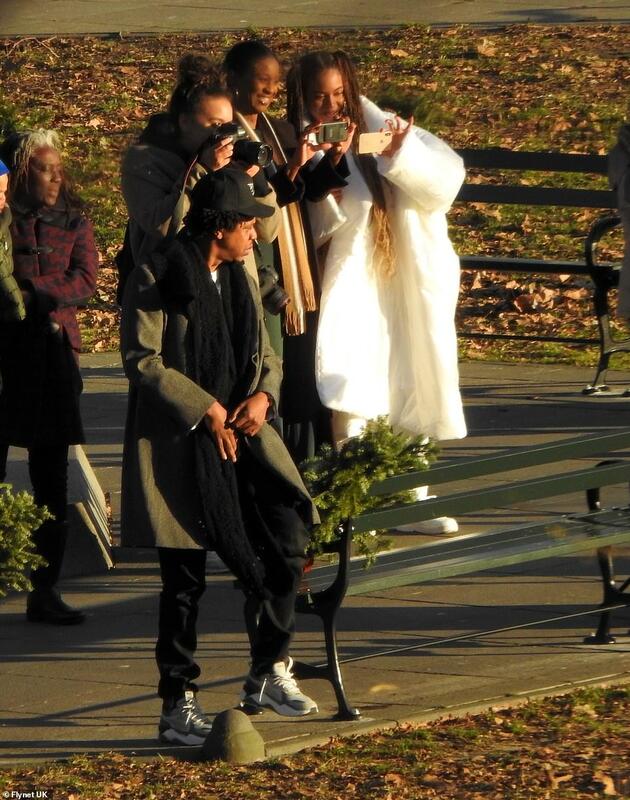 Beyonce and Jay-Z chose to spend their Christmas in a more low-key manner. 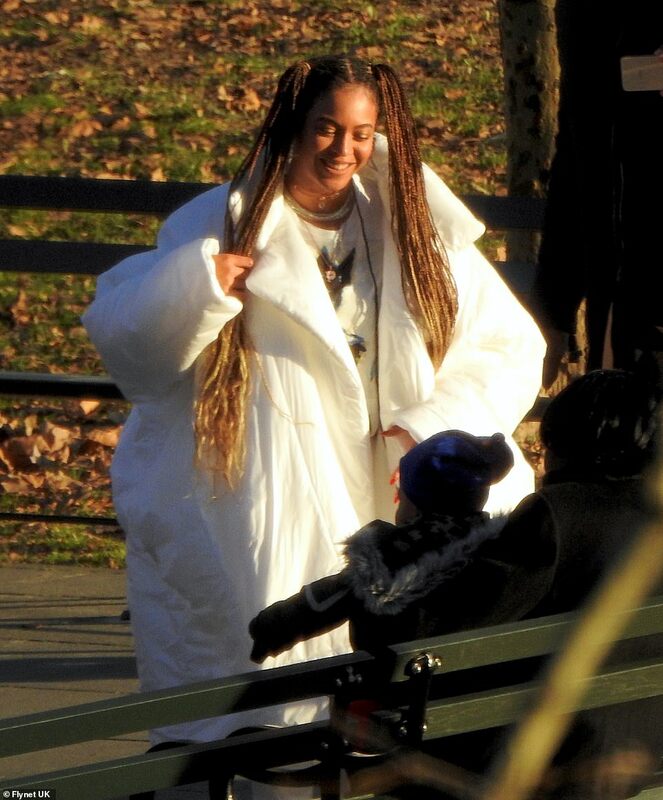 Paparazzi caught the first family spending time with their loved ones and ringing in the festive break with a family trip to Prospect Park in Brooklyn, New York on Christmas Eve. 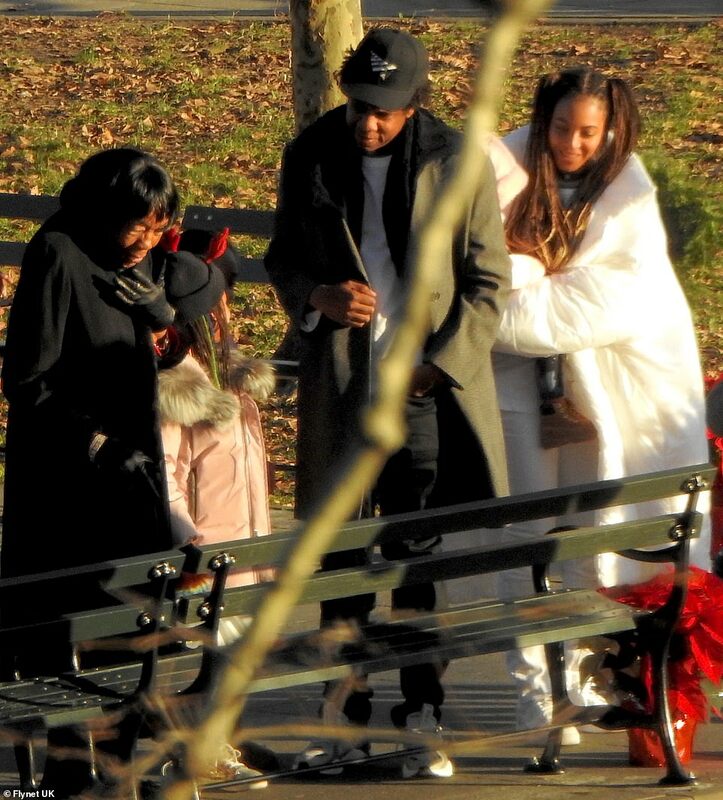 But the Carter&apos;s weren&apos;t just in the park to enjoy the scenery. Jay Z arranged it so that his grandmother Hattie White received her own bench in the park. Alongside Beyonce, Jay Z appeared emotional as The Carters came together to share their thoughtful present with the rapper&apos;s grandmother Hattie - dedicating a bench to her in her name. The bench had the inscription on it, "Someone is sitting in the shade today because someone planted a tree a long time ago. 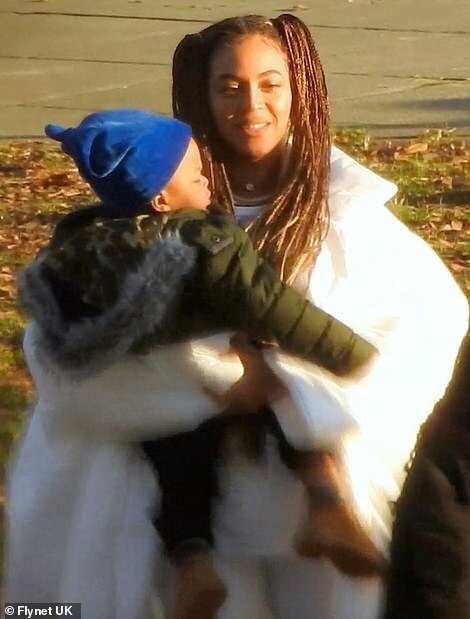 With Love and Admiration to our root, Hattie White"
The music mogul joined by wife Beyonce and their children; Blue Ivy, 7, and their 18-month-old twins Rumi and Sir. Also, there was Jay Z&apos;s mother and several nieces and cousins. 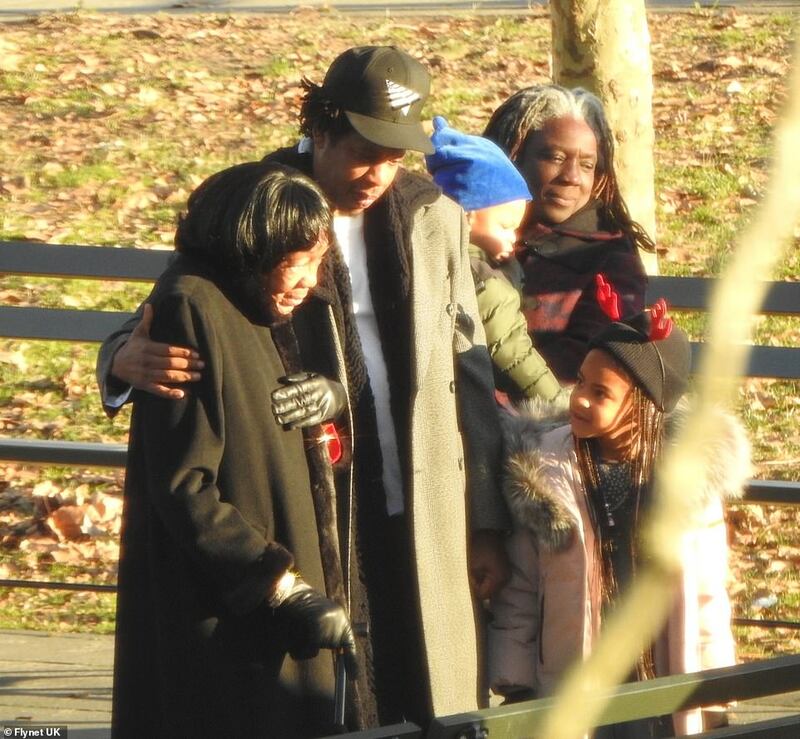 According to the Daily Mail, "Jay-Z&apos;s grandmother seemed touched by the gesture as she stood in front of the bench holding a hand to her heart, as the 99 Problems star wrapped his arm around her." Little Blue, meanwhile, was seen looking sweetly at her great grandmother, as she wrapped up warm in a pale pink quilted jacket and black beanie hat that she teamed with a festive pair of reindeer ears. Her famous mother looked fashionable as always in an all-white ensemble that boasted a hugely over-sized padded coat and came complete with matching Nike Air Force 1 low-top sneakers.